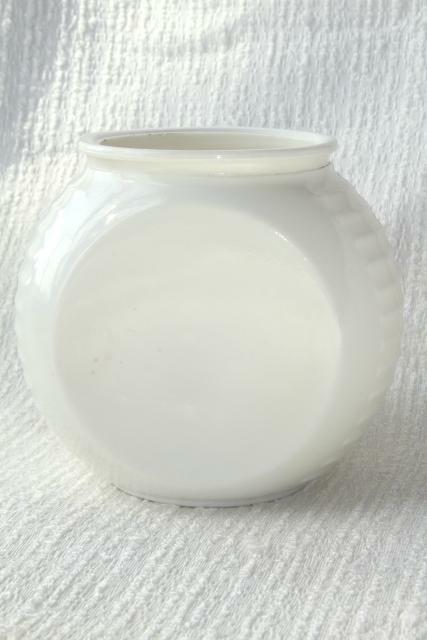 1940s vintage Anchor Hocking ivory glass kitchen range or grease jar, nice and clean without damage or wear - but has no lid. 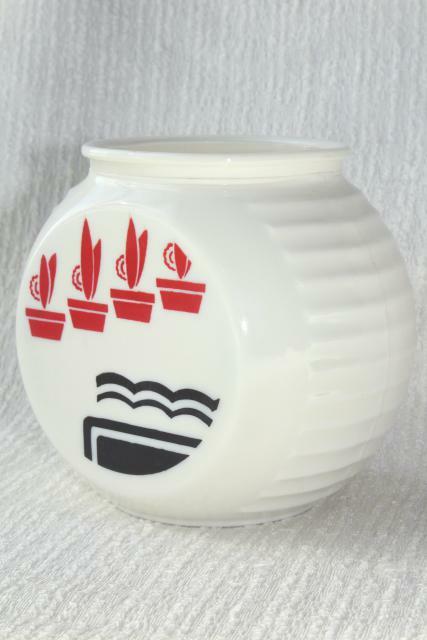 It would be a great spoon holder or vase, we think! 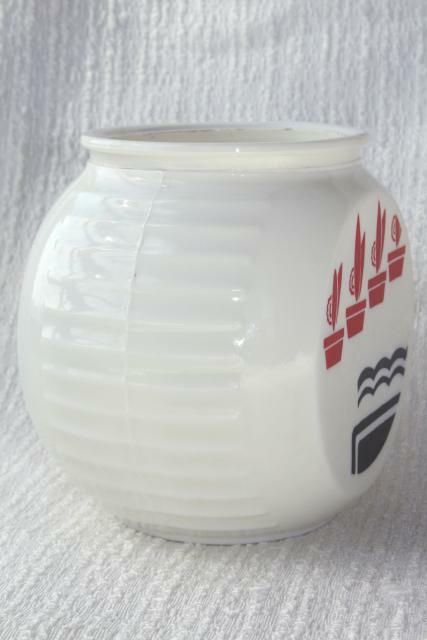 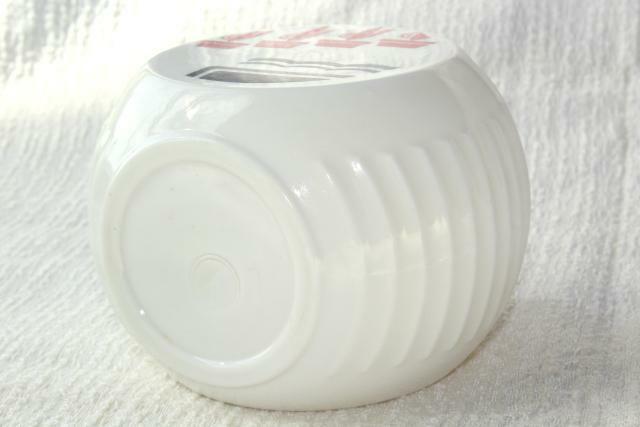 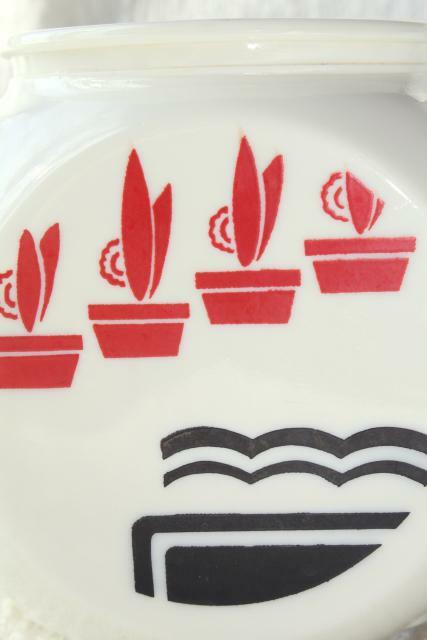 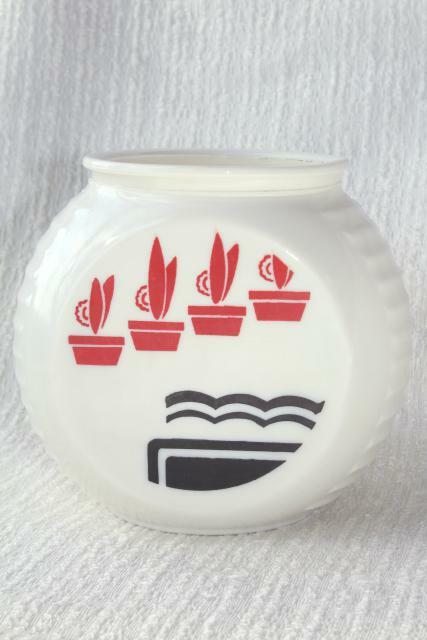 It's unmarked, custard colored milk glass with deco flower pots design in red and black. 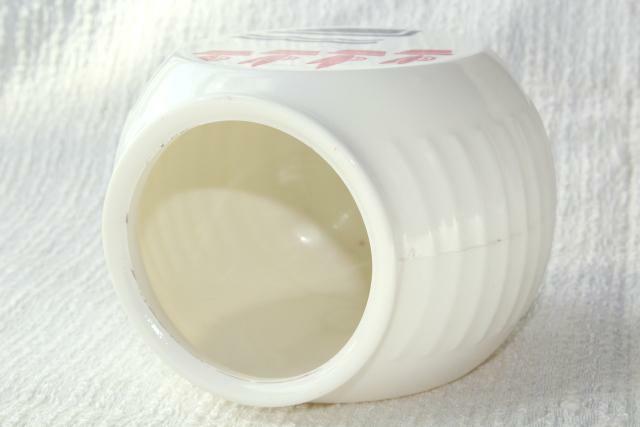 it's about 4 1/2" tall x 4 3/4" wide, 3 1/2" across the fitter rim.